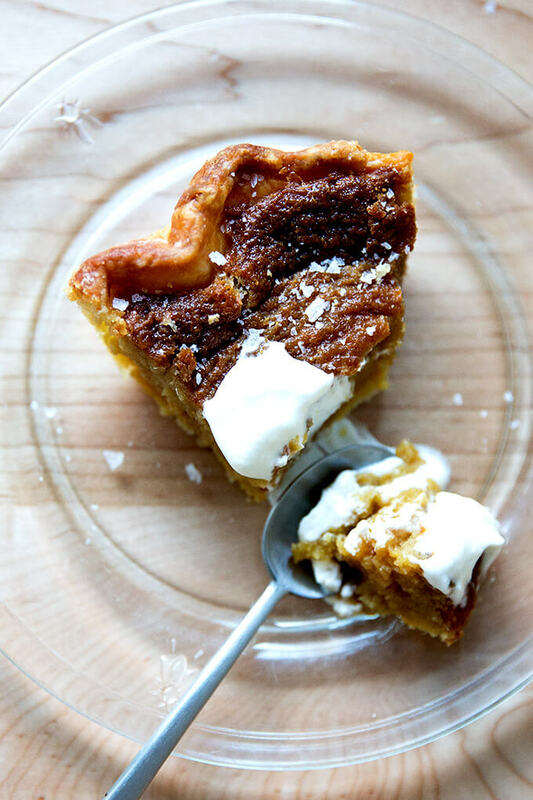 • To start the pie-dough making process, cut your butter into smallish slices or cubes, place them on a plate (or some other vessel) and stick them in the freezer. Fill a large liquid measuring cup with ice and water. Set aside. 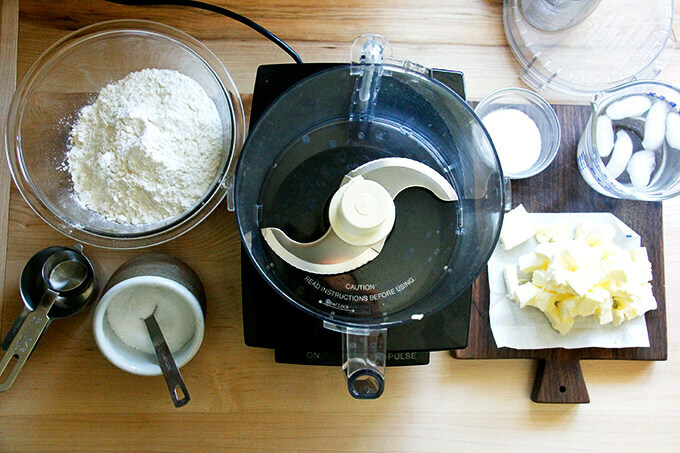 • If you want to make several batches of dough, rather than multiply the recipe and load up your food processor, make separate batches consecutively. 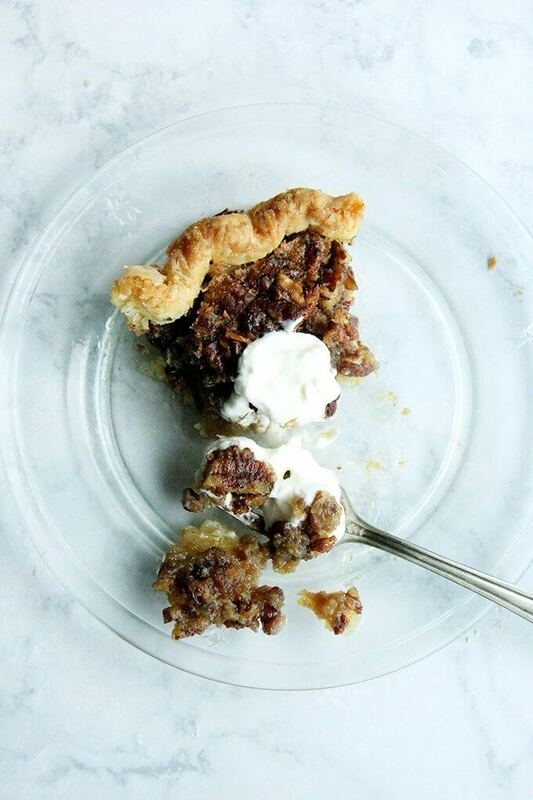 For example, when I triple the pie dough recipe below, I’ll start by cutting up the butter and placing each portion on a separate plate in the freezer. Then I’ll fill up a large liquid measure with ice and water. Then I’ll line up three big mixing bowls and fill each with 320g flour, 2 T. sugar, and 1/2 tsp salt. 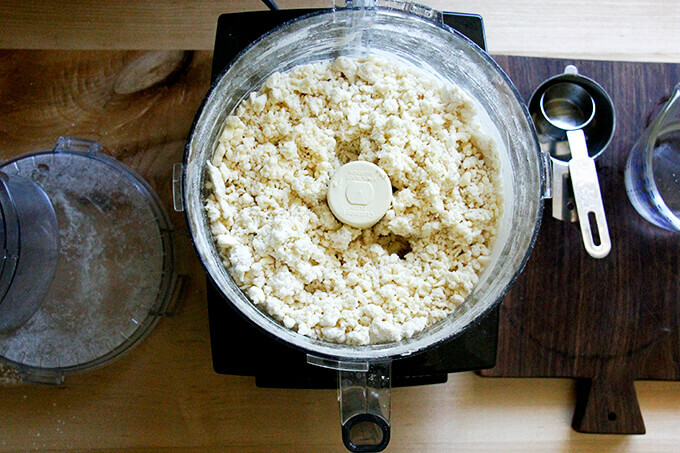 Then I make one batch at a time using the food processor, wrapping each batch in a tea towel or plastic wrap before proceeding with the next batch. No need to clean the processor in between batches. 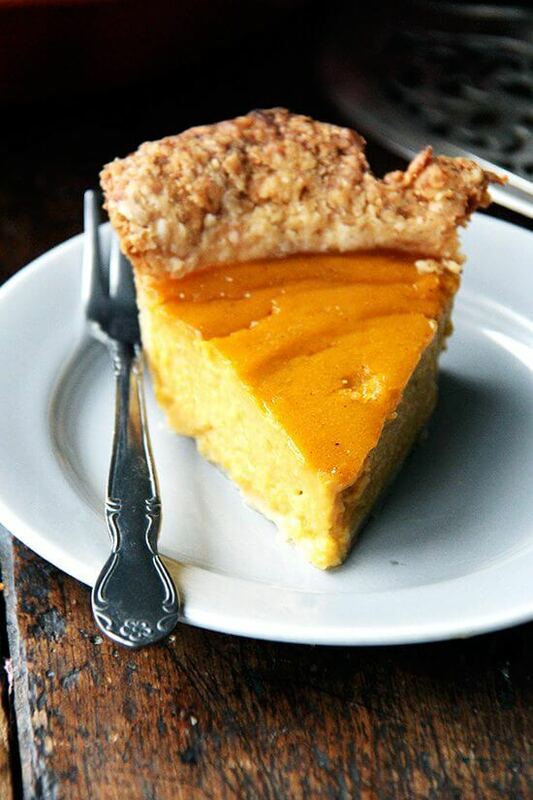 • When I make the dough and plan on using it shortly thereafter, I prefer rolling it out immediately, fitting it into the pie plate, then chilling the dough-fitted pie plate. I find this easier than chilling the dough round, then rolling it out once it has chilled and firmed up. 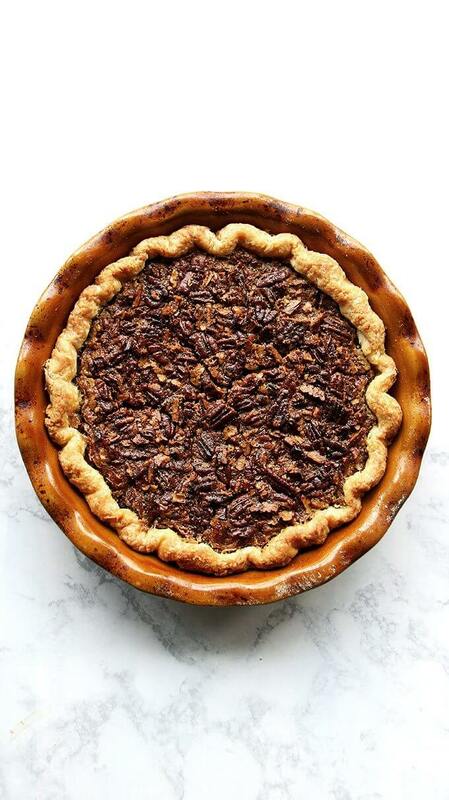 • As Martha Stewart says: “Make it cold; bake it hot.” A good rule of thumb is to bake your pie on the lowest rack of the oven at a high temperature to start (around 425ºF for 20 minutes or so), and then to reduce the heat to a lower temperature (350ºF or so) for the remaining baking time, anywhere from 30 to 60 minutes longer. Every oven is different, of course, so adjust temperature and timing as needed. 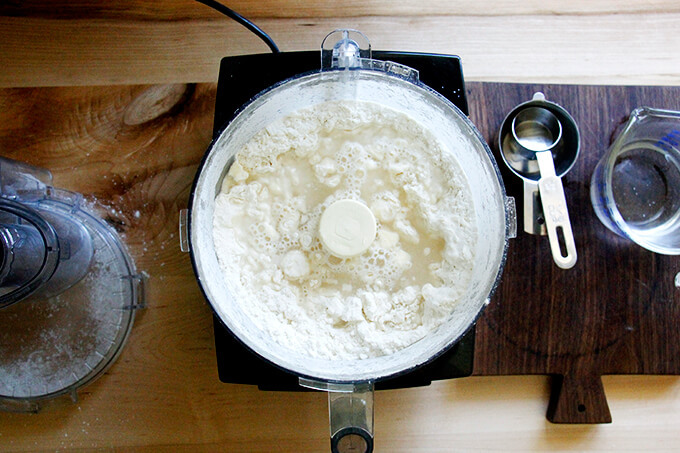 This is the pie dough I use for everything: galettes, tarts, etc. 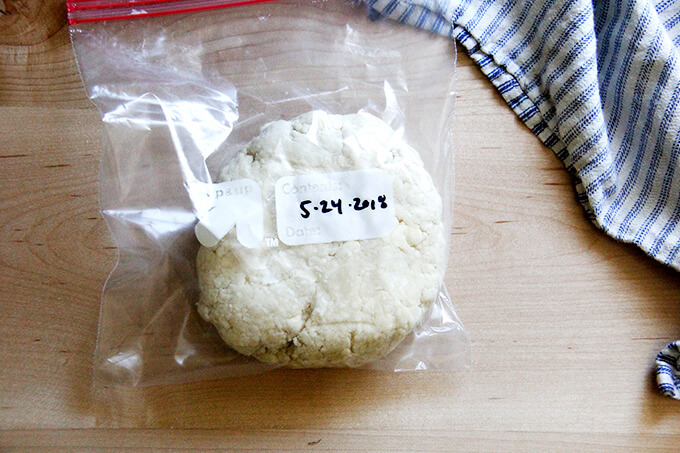 Dough can be made up to a week in advance and stored in the fridge or made weeks in advance and stored in the freezer. 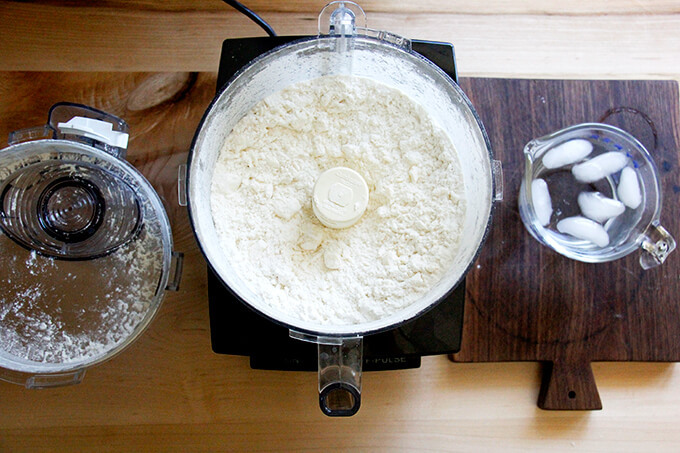 In a large bowl, whisk flour, sugar and salt together (or pulse in food processor). 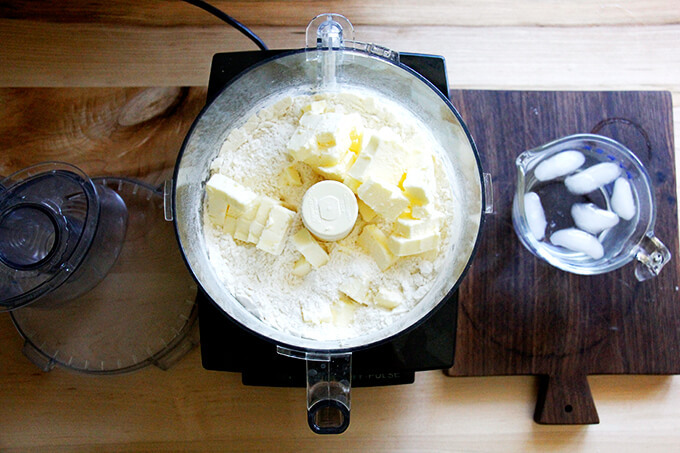 Cut butter into flour and using the back of a fork or a pastry cutter, incorporate butter into flour mixture until butter is in small pieces. 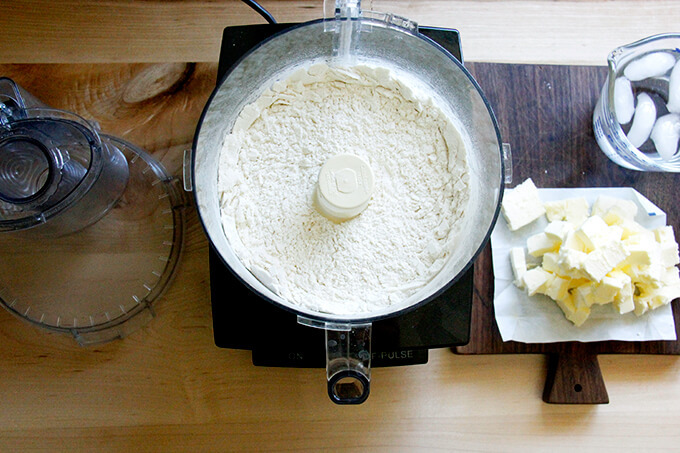 (If using food processor, pulse at 1-second intervals until butter is the size of peas.) Add ice water and continue to stir with fork until mixture comes together to form a mass. Add more ice water if necessary, one tablespoon at a time. Gently form mass into a ball, divide in half, flatten each half into a disk and wrap each disk in plastic wrap. Chill until ready to use. Would it be possible to omit the sugar so that the dough can be used for avoury purposes? Another question…, if I put the dough disks in the freezer do you have any direction on thawing so that I work with them? Thanks so much. I would stick the dough in the fridge the day before you plan on baking. If when you wake up, they still feel a little frozen, let them sit at room temperature. Let me know if there is anything else! Very excited to try this! 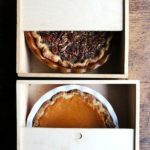 Do you have any insight on pie dough for my gluten free guests? I always make my crusts ahead for thanksgiving but instead of leaving them in a disc I roll them out cover with parchment paper and fold into quarters. Then wrap and put into freezer. Then I can just fit them into pie plate. 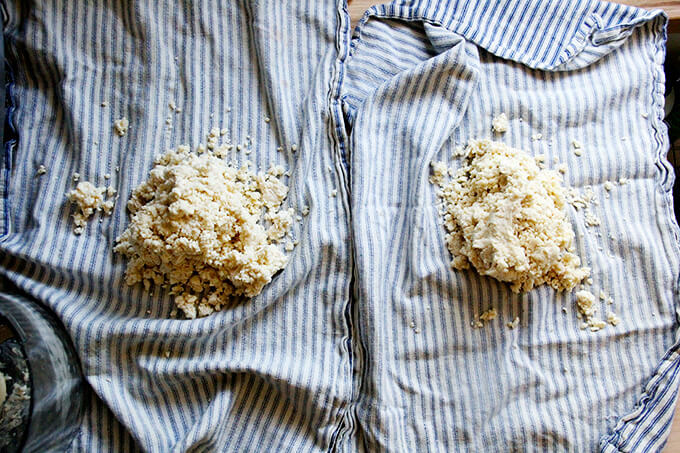 No need to get out flour and all that again. I am a messy baker and it works best for me! 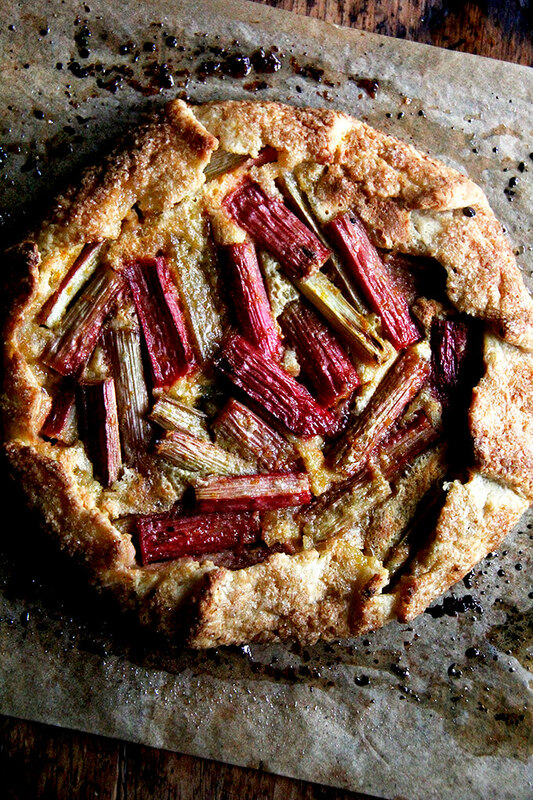 Baked your Apple-Frangipane Galette last Thanksgiving eve kind of as an “extra” after the pies were baked. Well, it never made it to Thanksgiving dinner…husband & I dove into it that evening and finished it off for breakfast on Thanksgiving morning! Wow, it was that good! 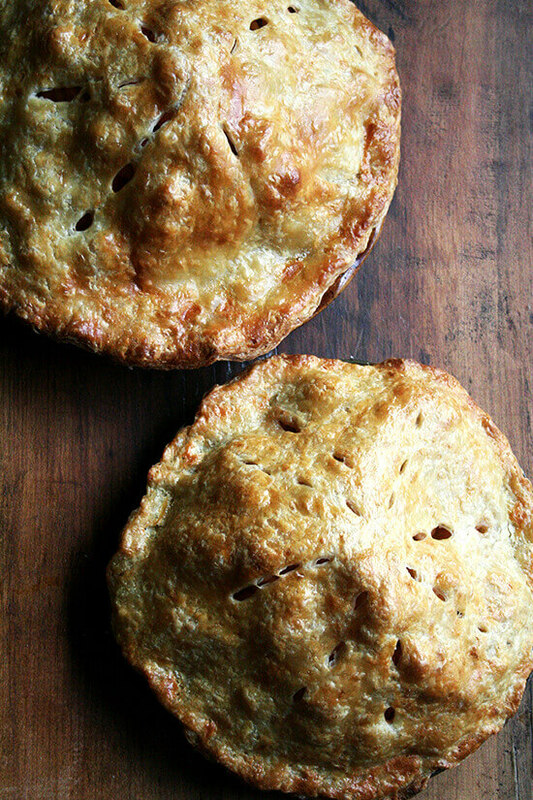 Pastry is outstanding and I look forward to using it for all the pies this year! Happy Thanksgiving! So happy to hear all of this, Carol! 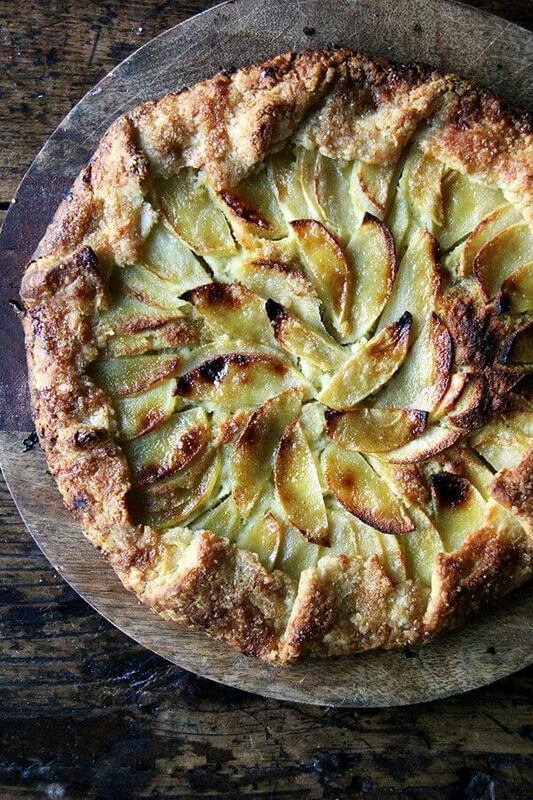 I love the apple-frangipane galette for breakfast … so good with coffee … all that buttery flakiness. 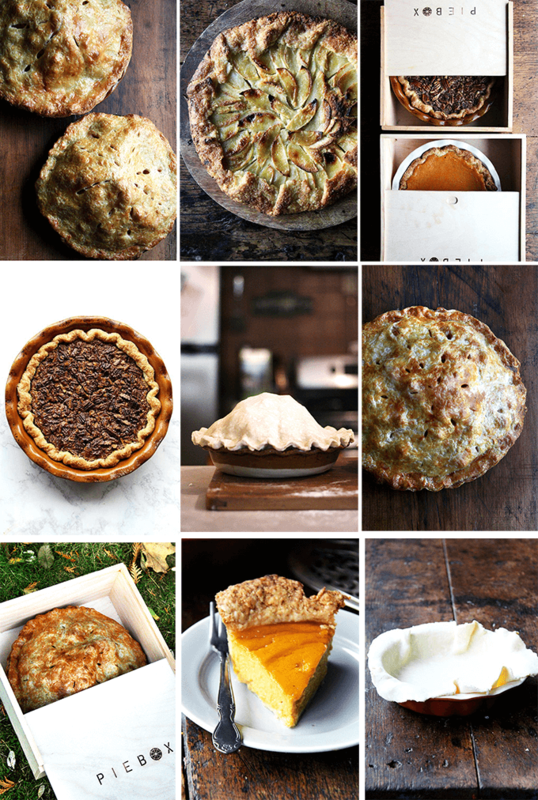 We’ve been treating ourselves to little nibbles every morning with the post-Thanksgiving pie remains. Hope you had a wonderful Thanksgiving!! 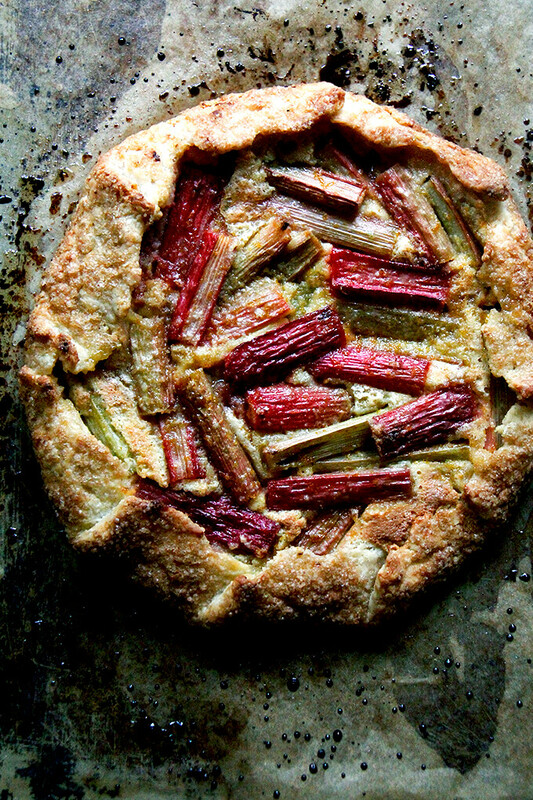 I used this for a potato leek galette tonight and it worked really great. Def the most flakey and easiest crust I’ve ever made. I omitted 1tbs of sugar and it worked just fine. 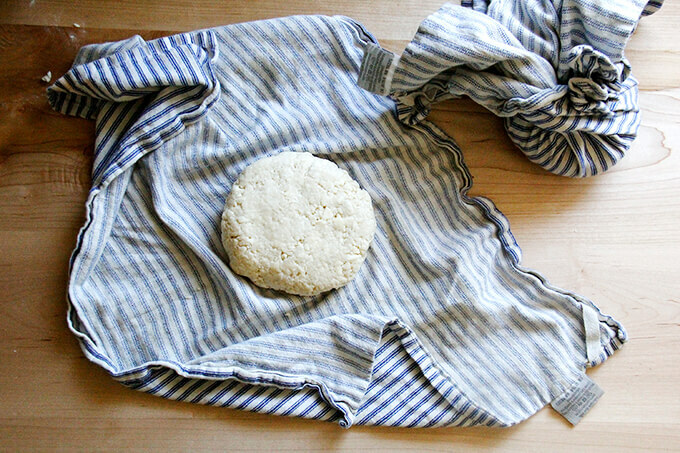 I so appreciated using the tea towels and food processor for the dough, it was so simple and very little fuss and muss. I have been making galettes for years as well as trying out various themes on crusts and this was a nice buttery flakey alternative. I will be keeping this one. Thank you.